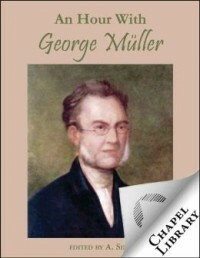 God has used the life of George Müller to serve as an inspiration to many. God gave him great faith and perseverance in his orphan care and ministry of the word. This eBook describes an hour-long interview a pastor had with Müller. Read it and be encouraged by Müller’s faith. The first house was on the right, and there among his own people, in plain, unpretentious apartments, lived the saintly patriarch, George Müller. Passing the lodge gate, I paused a moment to look at House No. 3, one of the five erected at a cost of $600,000. The bell was answered by an orphan who conducted me up a lofty stone staircase and into one of the private rooms of the venerable founder of that great institution. Mr. Müller had attained the remarkable age of ninety-one. As I stood in his presence, veneration filled my mind.